November 13. A date, in my mind, that will forever denote hope, faith, love and life. 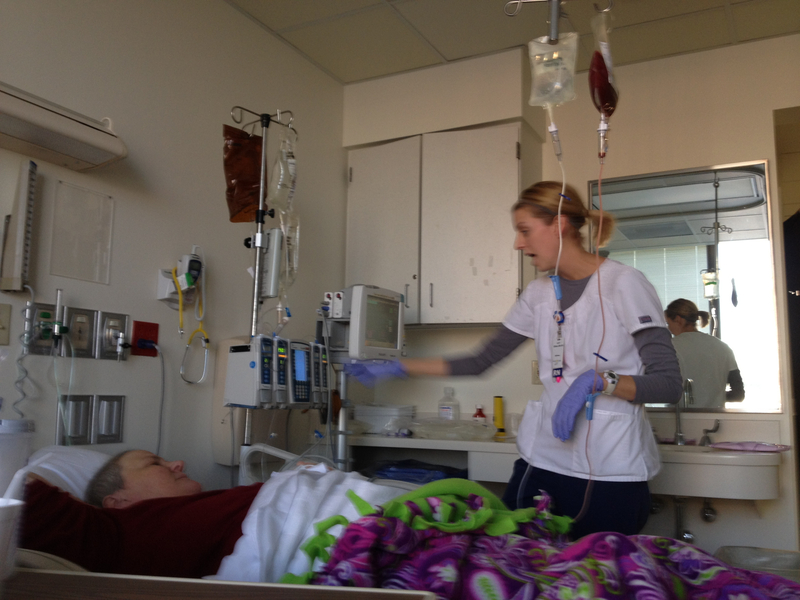 Five years ago, on November 13, 2012, an amazing young woman named Megan donated her stem cells to me. Her healthy cells replaced my diseased bone marrow after a diagnosis of acute myeloid leukemia, an aggressive blood cancer. She was a complete stranger to me at that time, who gave selflessly and unconditionally, simply because she knew she had the ability to save a life. Today, my five-year transplant anniversary marks an important milestone. The chance of relapse after five years is highly unlikely (that’s your cue to knock on wood). Today is my 5th “rebirthday”. A swab of hope: the beginning. When my brother and sister had their blood tested, wishing to give me a second chance at life, neither of them was a “match” to be my life-saving stem cell donor. Doctors turned to Be The Match to search for an unrelated donor. Megan “swabbed” and joined the Be The Match marrow donor registry where she attended college, just a few weeks after I was diagnosed. She was my perfect match. An incredible journey of life and spirit that started with a tiny cotton swab. Two years later, we were no longer anonymous to each other. 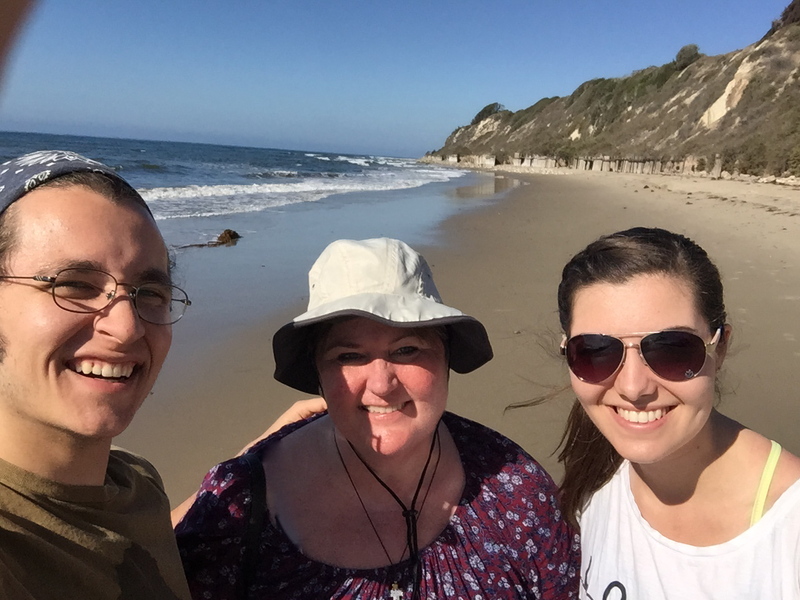 Megan and I were able to connect, and my oldest son and I flew out to California to meet her during my son’s fall break from college in October 2015. The following summer, she and her boyfriend, Peter, flew to Illinois to visit, and were able to meet the rest of my family and some of my friends…many who were caregivers for me. This past summer (July 2017), my husband, our youngest son, and I attended Megan and Peter’s wedding in California. What an honor to be included in her wedding! A ring of hope: celebration. My stem cell transplant facility, Barnes Jewish Hospital/Siteman Cancer Center in St. Louis, has a bell located on the seventh floor that patients jubilantly ring when they complete their cancer treatment. My stem cell transplant doctors office; the lab, where I have had hundreds of vials of blood drawn; and the bone marrow biopsy clinic, where I had several bone marrow aspirations, are all located on the seventh floor. I have longingly walked past that bell more times than I can recall. I’ve shed tears of joy each and every time I hear someone else ring it, happy for their victory. Treatment, potential complications and monitoring go on long after the actual stem cell transplant, so ringing the celebratory bell too early is considered a jinx of sorts. Guess when I get to ring the bell? That’s right…as a five-year stem cell transplant survivor! Guess who is flying out from California to ring the bell with me next month? That’s right…Megan! She is now a teacher, so we coordinated my bell ringing day with a time that it would be convenient for her to join me. As much as I am celebrating life today, I celebrate all who have travelled this journey with me, as I couldn’t have done it without them. If only we could travel back in time and know what we know now. What would you do differently? The title “Sorry, Jen” refers to a conversation I had with someone I befriended through La Leche League (a breastfeeding support group) when our children were very young. My boys were ages 3, and a toddler (before I had my third child). Jen and I would discuss parenting quite frequently, and one day the topic of vaccinations came up during a phone call. As a registered nurse, indoctrinated into the religion of vaccines, my response to Jen was, “I vaccinate my children, and I believe anyone who doesn’t is socially irresponsible.” The line went silent for a few seconds. Several months later: My younger son had been developing normally…. talking, engaged, happy, reaching all appropriate milestones. After vaccination, as if a light switch turned off, he dramatically regressed developmentally and exhibited physical autistic traits for the first time ever. He lost eye contact, had difficulty sleeping, became sluggish, his speech regressed and he developed sensory defensiveness to smell, touch and sound. He began having bowel issues/constipation and his head circumference grew above the normal range. Stimming behaviors, like hand flapping, spinning, rocking, jumping in place, and standing on his head frequently (which we thought was a cool parlor trick for a while until major red flags flew), became a part of daily life. Coping with sensory issues, changes in routine and a myriad of daily obstacles grew increasingly difficult. I dove head first into research, and identified studies and papers about leaky gut syndrome related to vaccine injury. I was able to find a doctor (double certified developmental pediatrician and child psychiatrist) who specialized in this, and she guided us through blood work and treatment. After several weeks of diet and supplements, our son was recovering! Predominant physical autistic traits disappeared, sleep habits improved, bowel habits regulated and he was playful, bright and alert. He continued to struggle with social and sensory issues, and by the time he entered kindergarten, was diagnosed with Asperger’s Syndrome. Improvement continued over the years, although accompanied by many struggles, and when he reached high school, he no longer tested as having an Asperger’s Syndrome diagnosis with the battery of tests given. As a mother, one knows this wasn’t “better diagnosis”, which was the buzz phrase being thrown around in an effort to sweep the increasing numbers of autism spectrum disorder cases under the rug. My duty wasn’t to prove anything…my focus was to help my child. Slow in my efforts of vaccine religion renunciation, I believed the fallacy of “rare” and “one in a million”, and cautiously continued to vaccinate my children, but on a selective and delayed schedule. Fast-forward ten years: Our family was to be relocated to China for my husband’s job. Leary of receiving the plethora of vaccines that were recommended for the move, but believing (enter the religion of vaccines again) that the likelihood of an adverse reaction would be unlikely, we proceeded. The children didn’t need as many as I received, as one of the shots, which previously was approved for children, was now considered a neurological danger for them…but was still okay for adults, according to the CDC. The day I received a normal physical and the overseas vaccines, I had extensive blood work that was normal. Symptoms began two days after my last vaccine, and progressively worsened until I wound up in the emergency room a few weeks later where I was diagnosed with AML. AML (acute myeloid leukemia) is an extremely aggressive and fast acting blood cancer that is typically triggered by toxins and/or radiation. After a 10-20% chance of surviving, I beat the odds after several months of rigorous chemotherapy and a stem cell transplant (grateful for my donor who donated her stem cells to me). The vaccine injury mallet thwacked me over the head with tremendous force, since it didn’t bludgeon me enough after what happened with my son. I traveled down the rabbit hole of vaccine injury and information and believe me, once you do, and see all the corruption, fraud, cover up and vast amounts of vaccine injury/death, there is no turning back. So, I’m sorry, Jen! 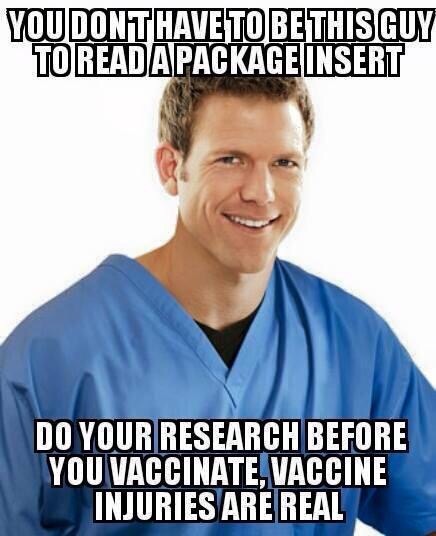 I know people who hold the religion of vaccines close to their heart. I’ve lost friends in the process, as I’ve been met with condemnation and condescension for encouraging others to research before they vaccinate. I have heard pat responses similar to the one I gave you… “safe and effective”, “science is settled”, and “miracles of modern medicine”, without willingness to discuss anything further outside the vaccine dogma. Many refuse to look deeper and consider the hard facts, and tout “anecdotal” and “correlation isn’t causation”. I’m sorry, Jen, and I’m sorry to the thousands and thousands who have learned the hard way about vaccine truth…so many far worse off than I, whose children have died or have lifelong disabilities. Dusting off the cobwebs on this blog…..after hitting a few speed bumps over the past couple years, I am bringing an uninvited semi-sabbatical from writing to an end. Some health issues, including a few surgeries, created quite a setback to writing. Well, other than much needed editing on some projects begun prior to nearly losing a ring finger to a freakish crystal trifle bowl accident. After surgically re-attaching the severed tendon on my finger, it took about a year to overcome the pain and immobility that this innocent looking digit caused. I still do not have full function, and continue to have nerve damage, but after time and perseverance, I’ve learned how to type on that hand with two fingers and my thumb. So, I’m looking forward to getting back on the proverbial horse that threw me, and riding (or writing) away and taking any of you with me who have made it this far. On July 9, 2012, I was diagnosed with a dangerous and fast growing blood cancer, called AML (acute myeloid leukemia), of which my chances of survival were only 10-20%. My greatest chance at beating this disease was to receive a stem cell transplant. Once I began responding to the very aggressive chemotherapy protocols that I had to endure, I was deemed a potential candidate to receive a stem cell transplant. Both of my siblings were eager to be donors for me, but neither one was a “match” when tested for human leukocyte antigens that are used as markers. My brother and sister were both crushed, as they each hoped to provide my shot at a second chance at life. I had a moment of tears, but my faith never waivered. I wasn’t about to give up hope. The treatments, blood and platelet transfusions, and further rounds of chemotherapy continued as I waited and prayed for Be The Match (National Marrow Donor Program) to find an unrelated donor, an angel. Not just for me…I needed to survive for my family; my husband and three sons (ages 9, 13 and 15 when I was diagnosed). Unbeknownst to me at the time, a young woman had recently joined the marrow donor registry in late July/early August, just weeks after I was diagnosed with AML. She “swabbed” at a Be The Match donor drive that was held at the college she was attending at the time. It turns out she was one of two people in the national marrow donor registry, which consisted of 9 million people at that time, who was a perfect match (10 out of 10 markers) for me. Donors and recipients remain anonymous to each other until they mutually agree to connect…if the donor is from the same country, there is one year waiting period, and if the donor is foreign, the waiting period is two years. I was admitted to Siteman Cancer Center/Barnes Jewish Hospital in St. Louis early November to begin a rigorous chemotherapy protocol several days prior to the stem cell transplant to ensure my bone marrow was completely wiped out and ready to receive new, healthy stem cells. Not permitted to know any information about my donor other than the fact she was female, I watched her cells drip into the port that was surgically implanted in my chest, with “Oh Happy Day” by Edwin Hawkin Singers playing in the background. 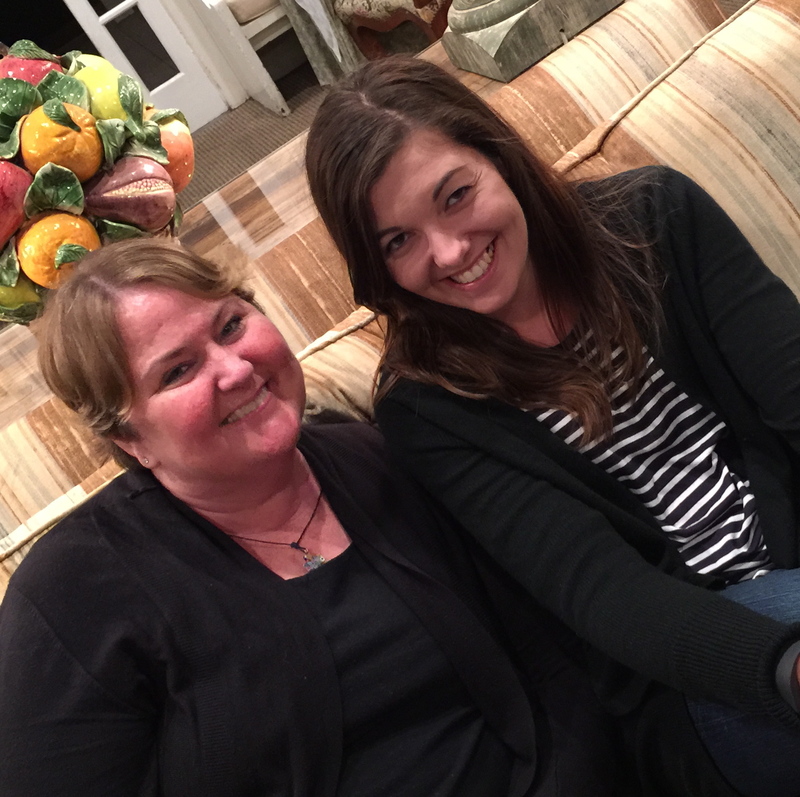 My husband and my sister were by my side as tears rolled down my face…. tears of gratitude for this nameless, faceless angel who gave of herself, and tears of joy for a second chance at life; to be given a chance to be there for my children as they grow. Often, doctors will watch for a recipient’s blood type to convert to the donor’s blood type in the first few weeks to see if the transplant is taking place, but my donor and I share the same blood type. Six weeks and another bone marrow biopsy later, I heard the magic words, “Your bone marrow has 100% donor engraftment and there are zero cancer cells”. I heard these same glorious words a few more times for the first year. One year later, I was told I could write a letter to my donor, so we knew at that point that she was from the United States. I was not allowed to include information that was personal. This was a struggle for me, as not only did I deeply want to express my gratitude, but also wanted to convey to her how she affected so many aspects of my life and my family. A few months later, I followed up with my transplant coordinator and was told they hadn’t heard back from her and that she likely wanted to remain anonymous. I have to admit that I felt a certain void in my heart, not knowing who she was, but respected her decision. At my two-year transplant anniversary, I contacted my transplant coordinator and asked if I could send another letter to my donor, as I wished to thank her again and let her know that I was still alive. A few months after sending my second letter, my coordinator telephoned to tell me that my donor wanted to initiate contact. Coincidentally, I received the phone call as I was driving down to St. Louis for a transplant doctor appointment. I had to pull off at the next exit to gain composure. I was given her contact information. Megan. This is her name. Of course it was Megan. This is the name I would have named my child if I had ever had a girl. This is a name that has always been imprinted on my heart. Megan and I began communicating and within a few months, I made plans to fly to California to meet her. My oldest son accompanied me during his fall break from college. We flew into Los Angeles, rented a car, and spent three hours driving up the Pacific Coast Highway to Santa Barbara, near Megan’s home. What would I say to Megan when I met her? What if I’m a blubbering idiot and start bawling? How do you thank the person who saved your life? The drive up the coast was a Godsend… hugging the coastline in our little rental VW Jetta. Watching the crashing waves and glistening blue water, as we would wind in and out of mountain paths, was just what I needed. The scenery was breathtaking and it was wonderful to spend one on one time with my son. We arrived at The Upham Hotel in Santa Barbara, a lovely historic inn that Megan arranged for us to stay, to find an elaborate gift basket waiting for us in our room. The basket was full of fruits and gourmet local delicacies that Megan thoughtfully put together for us. Finally, the moment of meeting: my son and I drove to Megan’s condo that evening. It was dark and we weren’t sure how to access the entrance to her condo, so I called her and she walked out to the parking lot to meet us. We were met with a friendly hug, and I was able to maintain composure, no blubbering or bawling. We spent the evening getting to know her and her boyfriend. Oh, and her dog, Zoey, who they adopted this past summer. For those who may not know, we also have a dog we adopted two years ago, and yes, her name is Zoey! We had a lovely evening and made plans to get together the next night. She made a wonderful dinner for us the following evening, which was completely accommodating of my son’s vegan diet. Again, could she be more wonderful? Megan took a “mental health day” from work the next day, day 3, and we spent a wonderful day together, hiking through a butterfly grove and down a bluff to a beautiful secluded beach. It was a fantastic way to unwind and get to know each other. The final evening, we had dinner at a fabulous vegan restaurant and Megan drove us around the Santa Barbara area a bit, showing us some areas we hadn’t seen yet. I knew I couldn’t get away with it that easily…. time to say good-bye and yes; I couldn’t hold back the tears. So many emotions built up and I couldn’t hold the floodgates any longer. So, this girl saved my life and she is amazing. It goes without saying that she is a kind, giving and thoughtful soul. I feel like she is a part of our family now, and the love in my heart for her is indescribable. So, remember that void I mentioned when I thought I would never know who she was? It’s completely gone, and my heart is full. Today, November 13, 2015, my three-year stem cell transplant anniversary, I celebrate life and I celebrate Megan, my angel! *So, in case anyone is wondering…Megan had not chosen to remain anonymous. We suspect the marrow donor program coordinator lost her as she had moved from the time she donated. Regardless, I’m so glad they were finally able to find her and we were able to connect. 101 Things To Do Before You Die: Bucket Lists. Does this seem daunting to you? Have you actually created a “bucket list”…scratched it down on a note pad, with lines drawn through places travelled, experiences accomplished, etc.? We will all “hit the bucket” eventually, truth be told. What is important is that we live each day as best we can; fulfilling our own individual dreams as best we can, hopefully making our lives, as well as other’s lives, better along the way. What it really boils down to is having no regrets. Does everyone need a bucket list? Of course not….if you have a great yearning, especially to the point where you feel that it creates a void in your life, by all means, find a way to pursue it. Write it down. Find a way to make it happen. It may be 1 or 101, but find a way. I do have a personal bucket list that is comprised of many deeper values, but there is another one that I will refer to as my surface bucket list…a list of desired experiences, and places I would like to travel. Since surviving a life threatening illness recently, my husband has been helping me cross these items off my list. Van Morrison. If you’re not familiar with him, he is a successful musician, singer and songwriter from Northern Ireland who’s been performing since the late 50’s. I fell in love with his music about 25 years ago, as it helped bring me through a difficult period in my life…I found his music uplifting and spiritual. It inspired positive change in my life at that time. Have you ever had music that “spoke” to you? If so, perhaps you can understand how seeing Van Morrison has been one of my top “bucket list” items. 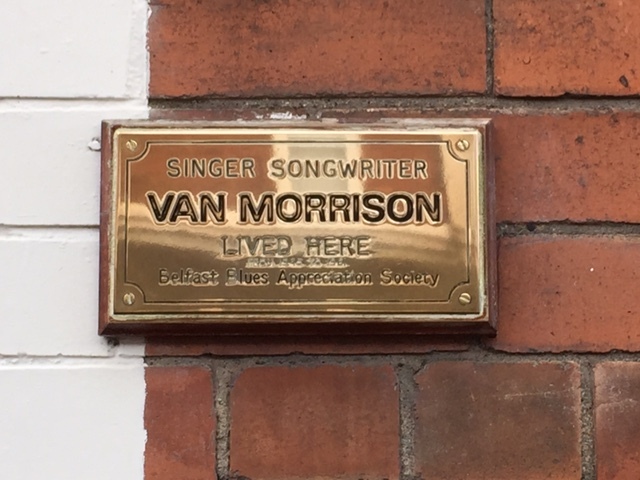 He rarely comes to the United States, and primarily performs in smaller venues in Ireland and the U.K..
My husband, Sean, had been doing quite a bit of work travel to Belfast last spring and would occasionally mention that Van Morrison was playing at local venues while he was there. In response to my envy, he encouraged me to find a way to see Van Morrison in concert. First, did I mention how wonderful my husband is? Second, did someone say “go”? Anyone that knows me–my love of travel, as well as spontaneity in travel– would not be surprised that I jumped on that opportunity immediately. Without hesitation, I booked a Van Morrison concert for us in Newcastle, U.K. (Northern Ireland) for July 19. This Van Morrison concert became the focal point of what was about to become an amazing 12 day trip driving around Ireland and Northern Ireland with my family. 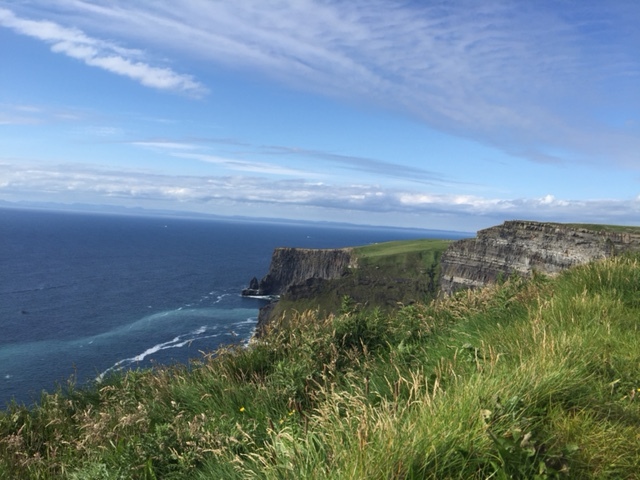 My husband could not join us for the first leg of the trip due to work obligations, so our three teenage boys and I embarked on an Irish adventure. The four of us travelled all over the Emerald Isle for the first 7 days, seeing wonderful sights rich with history, culture, music and beauty, and had the privilege of meeting so many friendly and gracious people. We, as well as our rental car, survived driving the quite narrow, often dangerous roads that we would encounter (driving on the left side of the road as well). I was the only one allowed to drive under the European rental car agency regulations (age requirement over 25 years old)…so, I was constantly scrutinized by two teenage drivers (aged 16 and 18). Sean met us in Northern Ireland, a couple of days before the big concert, and we were able to enjoy Northern Ireland, as well as a few days in Dublin, with him before we all returned home. So, a family vacation, all in all, full of Griswold family type experiences, some growing pains, and learning more about each other each day. But, a vacation that enriched our lives and brought our family closer together while strengthening our love for each other…and a love for Ireland. Thanks to Van Morrison. Oh yeah, the concert. Fantastic! More than I ever imagined or wished for! It was an evening filled with laughter, tears, and memories that flooded my heart with sweetness, sadness, inspiration and joy. Thank you, Van Morrison and Happy 70th Birthday! 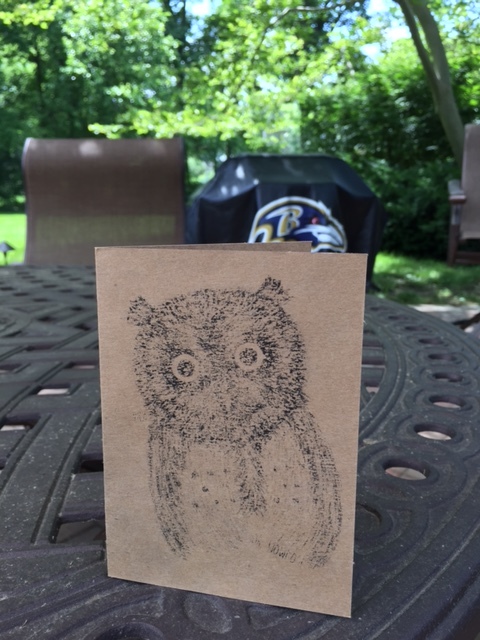 I received the most pleasant surprise today….a hand written card from my eldest son, who is currently working in Colorado during his summer break from college. Not a lost, but definitely a rare, art form these days. Remember the happiness that freely transpired from opening the mailbox to find a postcard or hand written note from someone you care about (other than a birthday or Hallmark holiday card)? Holding the paper in your hands, feeling the sincere sentiment from the ink that flowed from the writer’s pen and knowing that you were thought of and missed; Sensing the touch and connection from the correspondent. In a world of rushed emails and texting, we seem to have lost that special personal connection, in my opinion. Then, there is the controversy of whether schools should continue to teach cursive, which I have heard varying opinions. Historic documents, beautifully constructed in calligraphy….I can’t help but think something would be lost if we were to view them preserved under glass as a printed email in Times New Roman font. Did you ever have a pen pal that you corresponded with, experiencing the excitement of the returned correspondence? From the moment you saw the foreign stamp, unlike any other you had seen, to opening the letter and learning about someone who perhaps lived half way around the world. Someone you had never met in person, but were able to connect through writing; well thought out writing, that didn’t impose immediate response and exchange. And what about chain letters? How fun it was to pass them along, absent of return address, of course; knowing that the recipient would roll their eyes and laugh, contemplating who they could play the same joke upon. Not the same with the ridiculous emails we receive today stating “if you do not send this to 9 more people, then ____ will happen to you”. Where is the effort and fun in that? It is timely that these thoughts enter my mind as Father’s Day approaches. My Dad, who passed away 12 years ago, was always very good about writing letters and postcards to people, and was also an avid stamp collector. The memories and sentiment that emerge from the letters I saved that he had written are timeless. I will lovingly tuck the card that I received from my son today in that same timeless vault. On that note (pun intended), I look forward to making the effort to write people more often, to send more postcards when I travel, and in general, to encourage someone or brighten someone’s day with this personal, heartfelt gift. Let me begin by stating that my intent is not to discourage anyone from vaccinating, but to encourage the pursuit for knowledge, as well to understand the slippery slope that our country is heading down with the government controlling what we do to our and our children’s bodies. I am not anti-vaccine, but am against mandatory vaccines and taking away medical choice, as is the position of most who question and research vaccines. Informed consent and the Hippocratic oath that physicians should ethically practice needs to be the pillar of all personal medical decisions; particularly because vaccines are not 100% safe and effective. In addition, forced vaccinations have the potential for violating the 4th amendment. Religious and philosophical exemptions for vaccines are close to being removed across the country—many feel that having aborted human fetus cells, serum from aborted calf fetus blood, armyworm cells, monkey kidney cells, dog kidney cells, mouse brain and/or chicken embryos injected into their or their children’s bodies violates their religious or ethical beliefs. These people will no longer have a choice to opt out of certain vaccines. Parents who have a vaccine injured child, who may be terrified that this will happen again to siblings, will not have a choice. There are now genetic markers developed that show possible likelihood of susceptibility to vaccine injury…..parents of children who present with these markers in their blood will not have a choice either. I remember being, what is termed today, a “pro-vaxxer”. I went to nursing school and became a registered nurse. I believed and trusted all the information that was given to the medical community from the CDC and AAP. I even recall telling a friend, “Those that do not get their children vaccinated are socially irresponsible,”. Of course, my arrogant medical mind thought “Oh, she is just uninformed.”. No, I was the uninformed one. Today, the general public is bombarded with this same information from pharmaceutical funded mainstream media. “Anti-vaxxer” is an unfair term that often gets paired with “anti-science”, “ignorant”, and “idiot”. The people who are questioning vaccines are typically highly educated and often, professionals. Many have had children who were vaccine injured, and this sent them down the path of digging deeper for truth and information, often finding lies and fraud that has alluded people to believe that vaccines are 100% safe and effective. Many are not completely against vaccines, but educate themselves and frequently may choose to vaccinate their children with some vaccines, but not others. My family has been fully vaccinated with “required” vaccines. Three years ago, I received a thorough physical and extensive blood work. I was deemed healthy (other than needing to lose some weight) and all my blood work came back normal. I received several vaccinations for an overseas move. Two days after my last vaccine, I began feeling terrible. My symptoms progressively worsened until I finally wound up in the emergency room with a diagnosis of AML (acute myeloid leukemia) a month later. My blood work was off the charts crazy abnormal. AML is an aggressive blood cancer that is typically triggered by toxins, radiation exposure, or smoking– which other than the toxins in the vaccines introduced into my body in recent weeks prior to onset of symptoms, I did not fall into any of those categories. Immediate concern was to get treated, as my chances of surviving this deadly disease were slim. My case is listed in the Vaccine Adverse Event Reporting System (VAERS). I had laid it to rest and moved on, focusing on my health and living my life, until the past several months when legislative bills began being introduced to mandate vaccines and remove exemptions. This is what sent me on the path to researching, even more deeply, the safety and effectiveness of vaccines. I have grave concerns for the direction that public health and welfare is taking. Vaccines are not 100% safe or effective and vaccine injury cannot be denied. The way the vaccine injury compensation system is set up (which protects doctors and pharmaceutical companies from any liability), it is extremely difficult to prove vaccine injury and death. There are limited “tables” set up that vaccine injury victims must fall under in which they receive compensation (with your tax dollars). Over $3.1 billion dollars has been paid out since 1986 to those whose vaccine injury or deaths have been “proven”. This is not an easy task under the very selective criteria of the vaccine injury compensation act table. The majority of cases are not compensated—roughly 30,000 claims are made to VAERS every year. I was contacted by someone from the CDC who told me that one of the main limitations with this program is that events get under-reported, so there are likely even more injuries that do not get reported. Those that are compensated only receive a cap of $250,000, which usually does not cover much of the damage that so many deal with—often brain injury and physical handicaps that require lifetime care. And, here’s a fun fact… over 80 cases have been awarded compensation for autism that was “proven” to be vaccine injury (yes, autism). Speaking of, I’m still waiting for a valid study to be done to dispel the connection between autism and vaccines. Yeah, yeah, I know…. media likes to spout “let’s finally put this to bed….there is no connection between autism and vaccines.” No, I mean a study that is not performed by a group with a conflict of interest that involves money or vested interest in the promotion of vaccine programs. 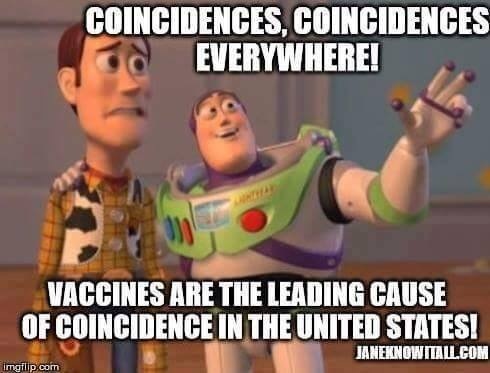 Not to mention only keeping the focus on the MMR vaccine, when there are other vaccines that actually list autism as a possible adverse reaction. Ancillary studies of unvaccinated populations have shown that there is an absence of children with autistic traits—these studies have been kept quiet, but are valid. However, I don’t want the focus to be on autism as there are so many other vaccine injuries that do occur. Since 1982, the U.S. has gone from 23 doses of seven vaccinations before age six to 69 doses of 16 vaccines by age 18, with 49 doses of 14 vaccines given between birth and age six. In the 1980’s (46 doses ago), the rate of autism spectrum disorders was 1 in 1,000 children. The current rate of autism spectrum disorders in the United States is 1 in 50 children. The United States also has the highest infant mortality (or IMR) rate in the developed world. Gardasil (HPV vaccine)—This has generated over 35,000 people with adverse reactions and more than 200 deaths. To date, clinical trials have not shown that this vaccine has prevented any cervical cancer. Plus, studies have shown that women who received this vaccine are at a greater risk of developing a non-vaccine HPV strain. Flu vaccine– This past year, the flu shot was only 18-19% effective. It is documented as the top vaccine that causes injuries compensated by the vaccine court. Most settlements were due to the development of Guillain-Barre’ Syndrome, which is a very serious debilitating disease. Herd immunity is a pipedream that is flawed when it comes to vaccines. The recent measles “outbreak”, as some like to call it, sparked the swarm of legislation to hit the United States with multiple bills proposed across the country, including a federal bill to remove all exemptions for vaccines. Patient zero has been speculated to have been a vaccinated child….this is where the disease likely started. Another fun fact: in the past ten years, there have been no deaths related to measles, but there have been 108 deaths reported claiming the measles vaccine was cause of death. Four different measles vaccines were used during this ten-year span. Some are no longer being used. What does that tell you about the safety and amount of research that goes into them before they are approved? Public Health officials admit, and studies have been published, showing that one can be fully vaccinated for pertussis, get infected and show atypical or no symptoms and spread the disease to the vaccinated and the unvaccinated. The bottom line: As long as vaccines pose any risk, there must be choice. Do your research and make informed choices. Contact your state legislators and express your concerns for the bills that are being voted on in several states, as well as the federal bill (H.R.2232), in order to protect our nation’s rights.